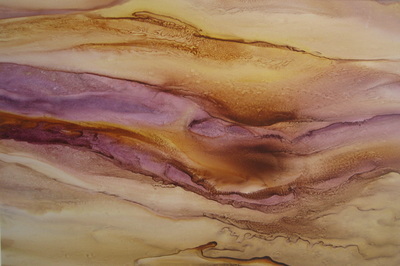 Watercolor has been my medium of choice for the last 18 years. 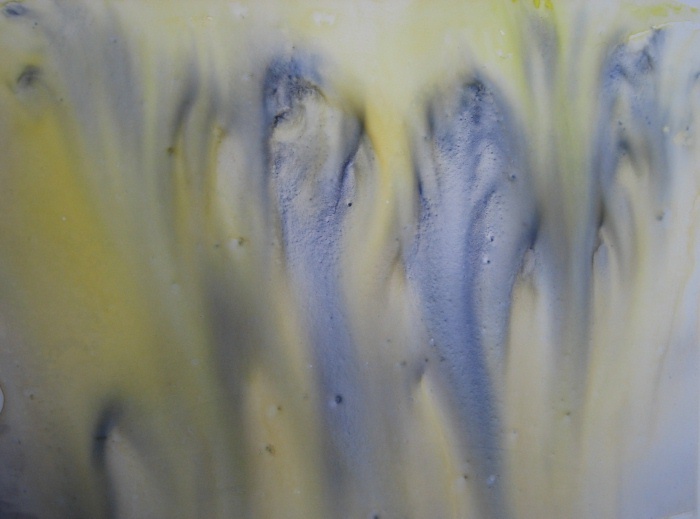 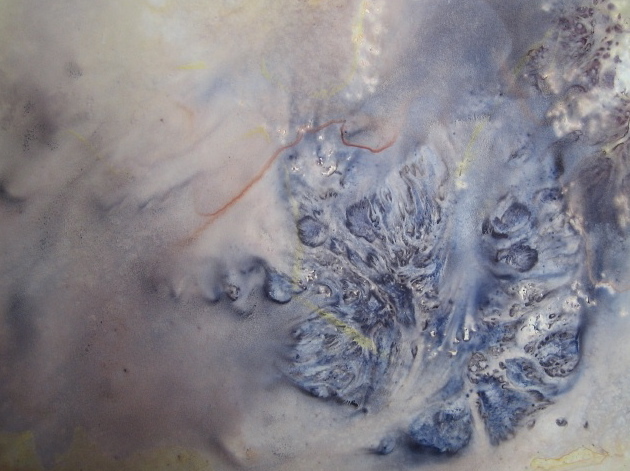 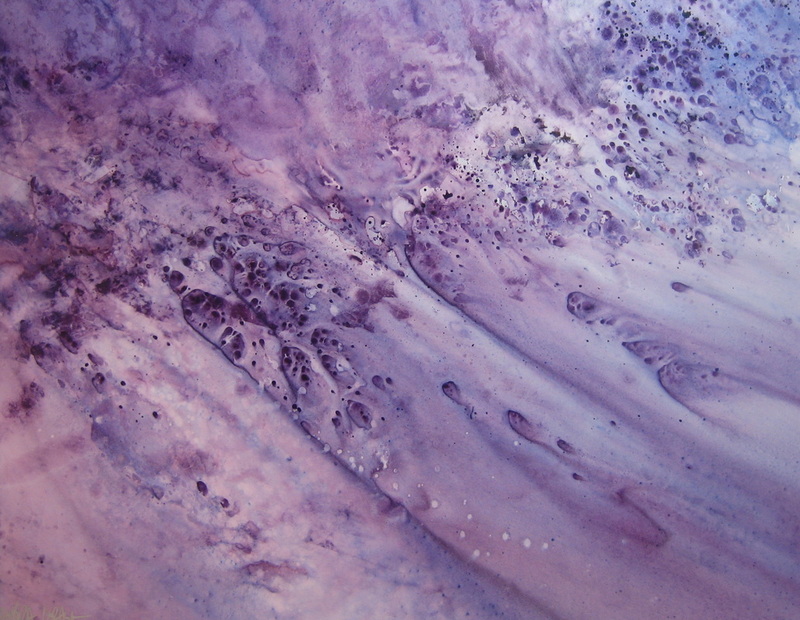 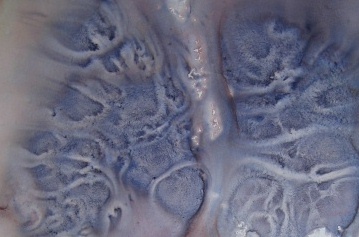 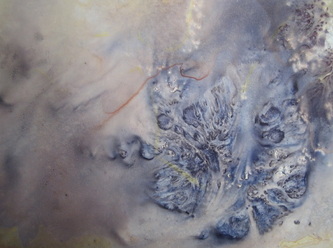 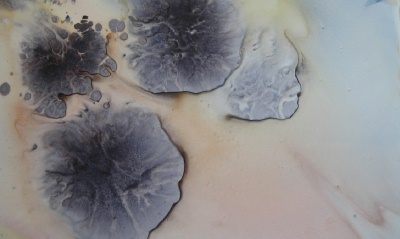 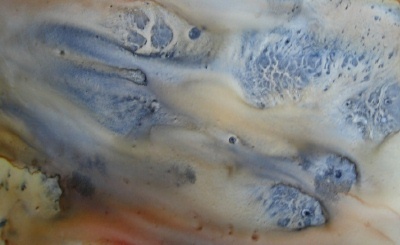 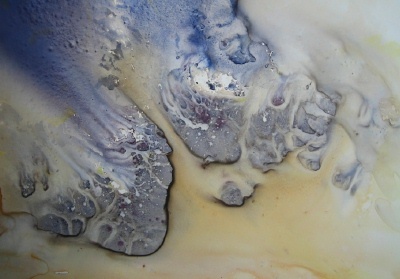 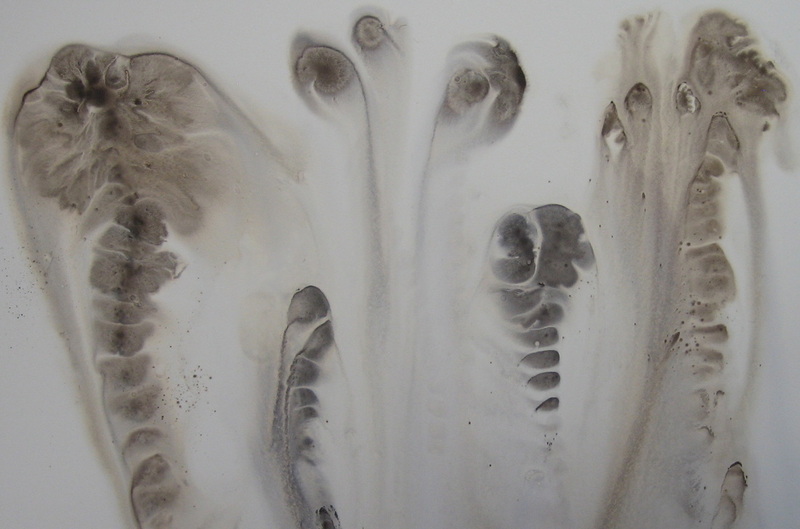 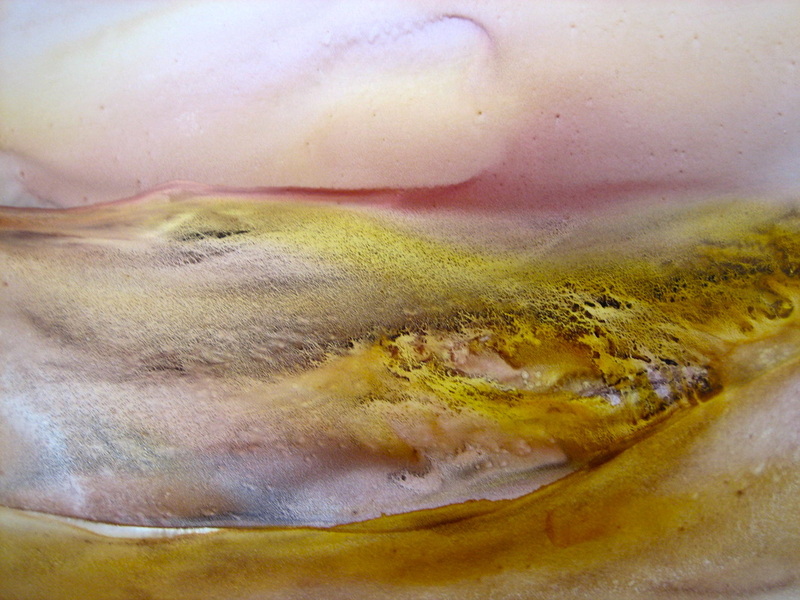 The unpredictable way the pigments mix on the paper makes the process one of exploration and often, surprise. 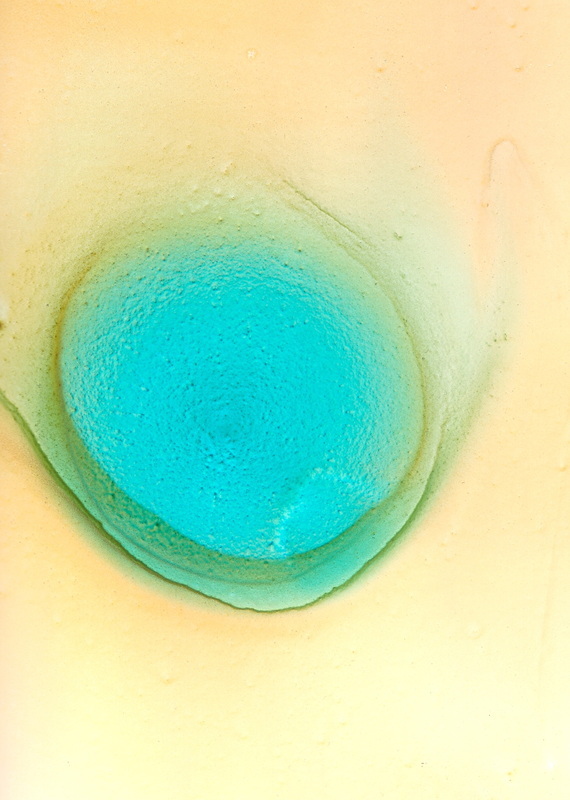 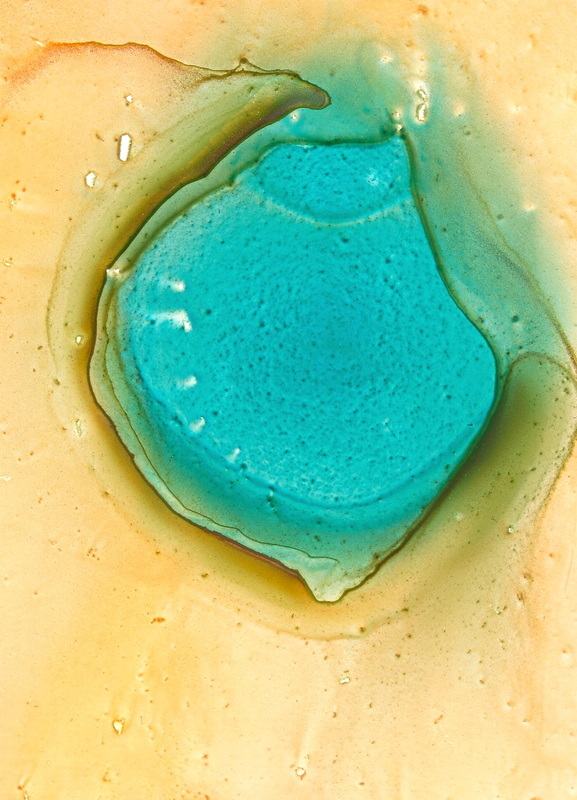 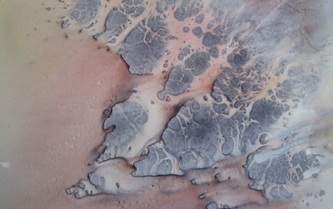 My latest series is rendered on a material known as YUPO. 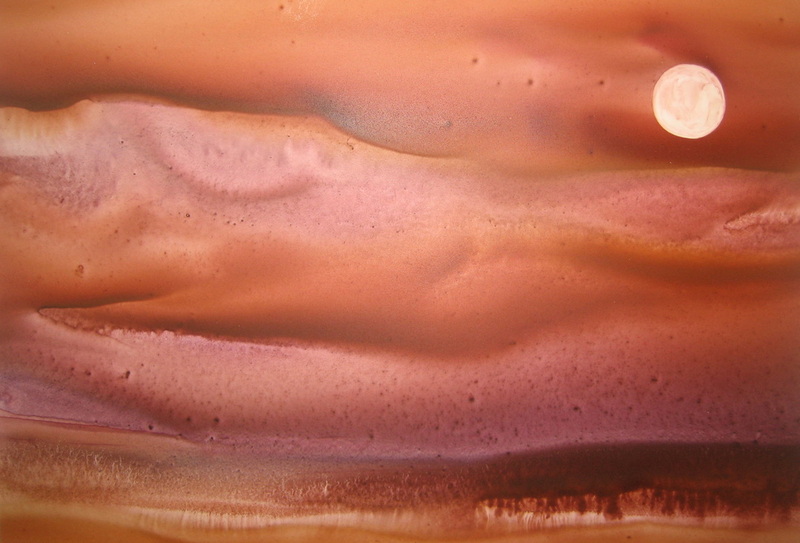 YUPO is “earth friendly,” a tree and pulp free synthetic paper made of 100% recyclable materials and is perfect for flexibility in both laying down and lifting of pigments. 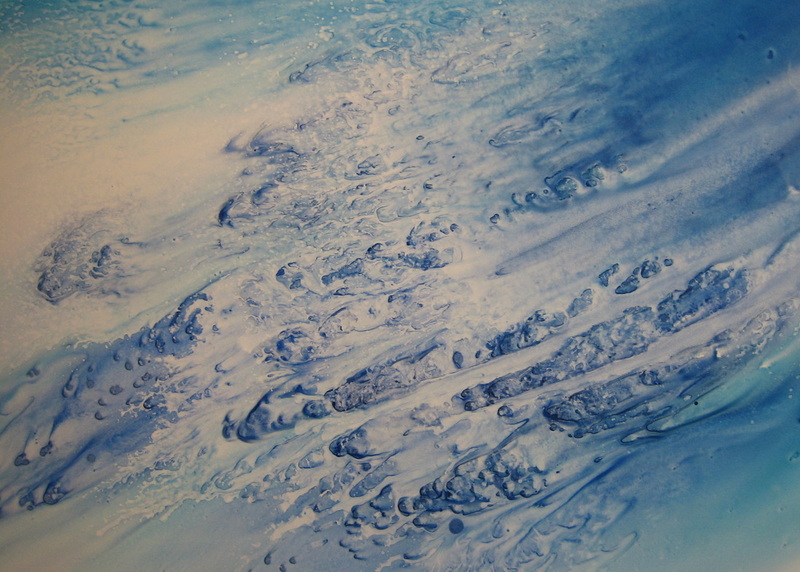 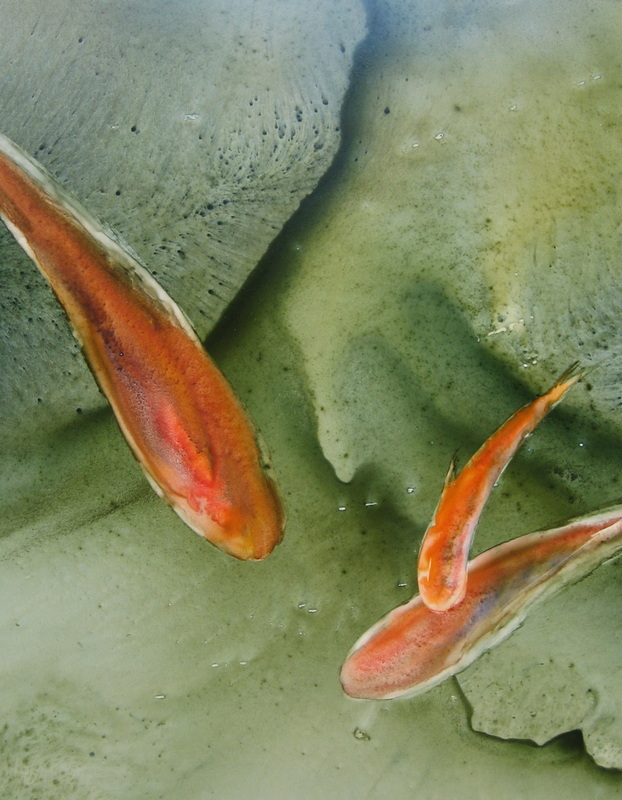 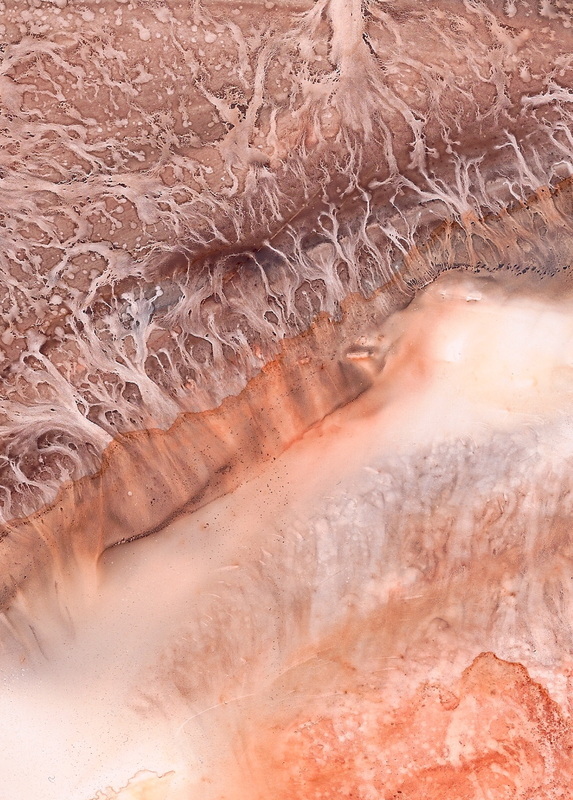 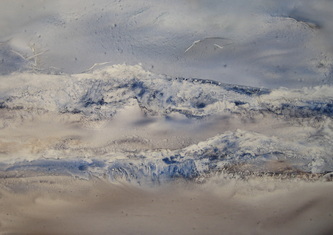 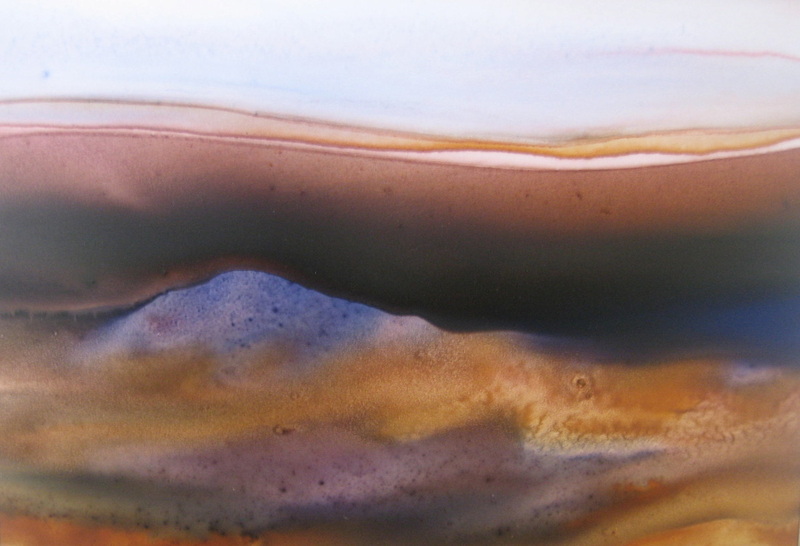 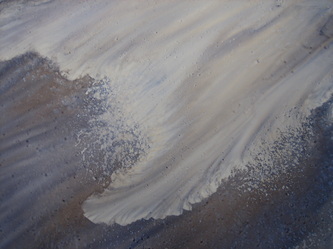 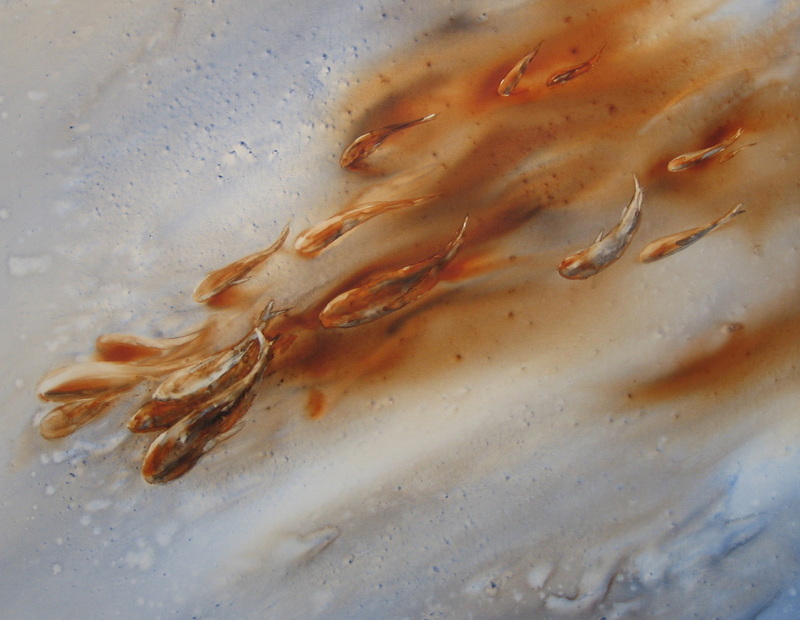 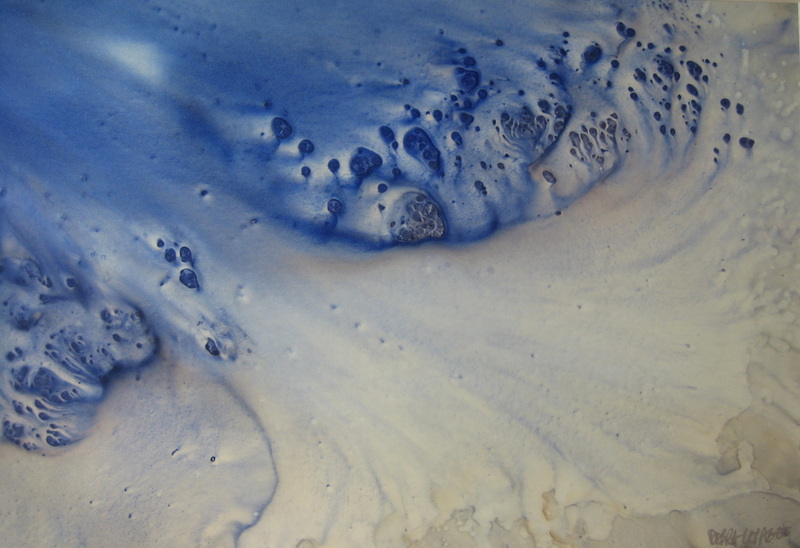 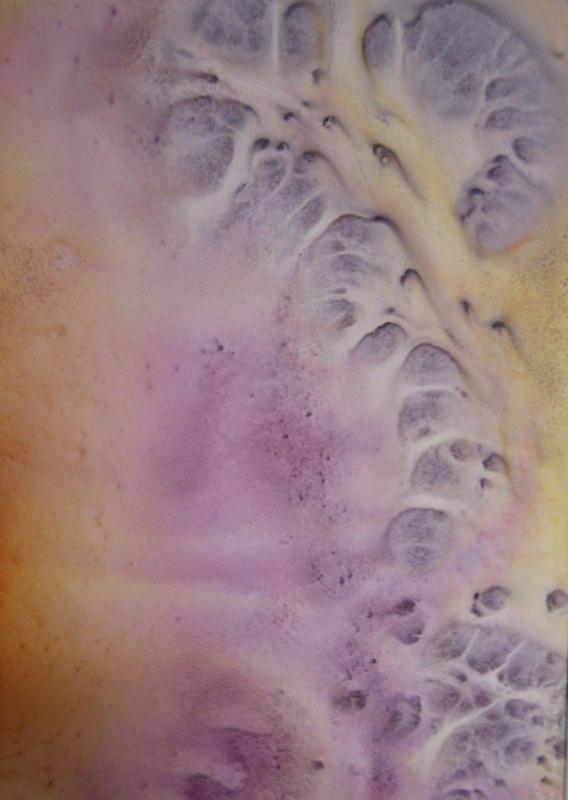 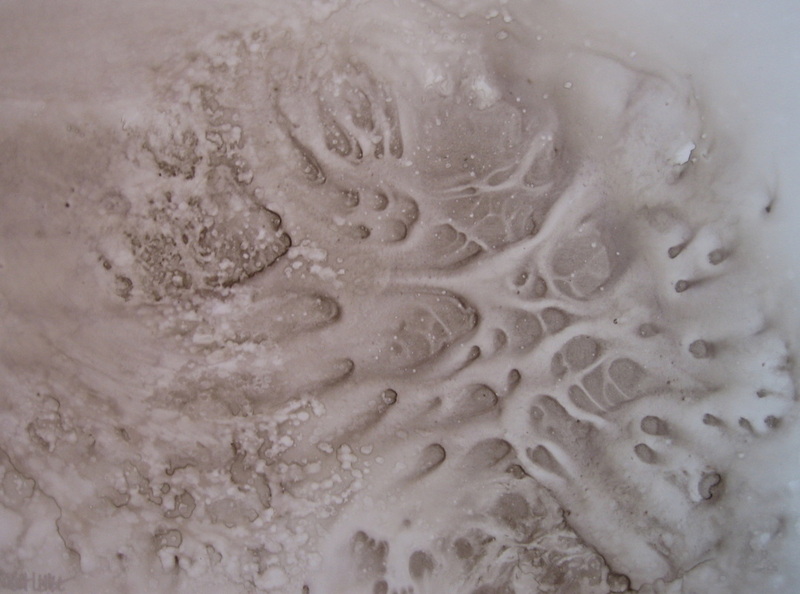 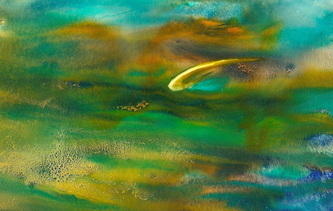 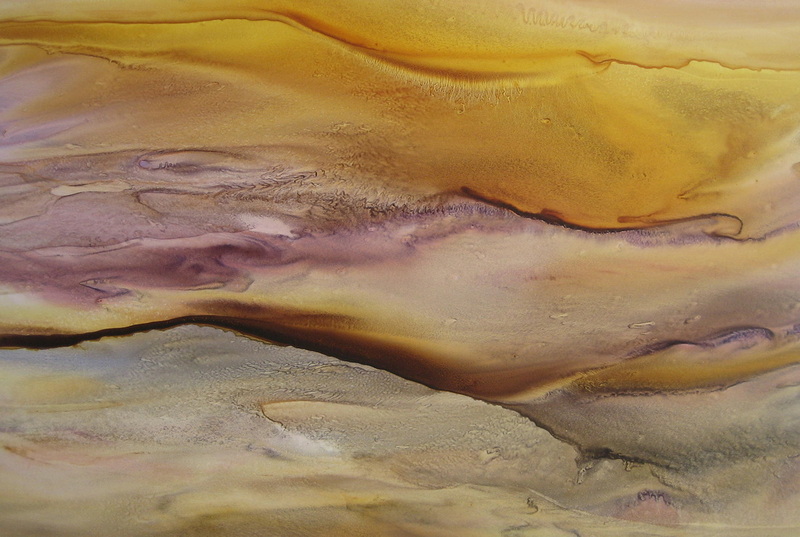 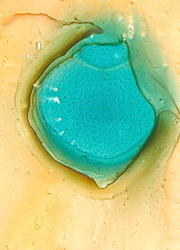 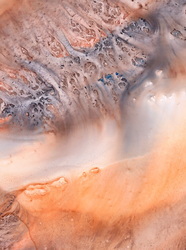 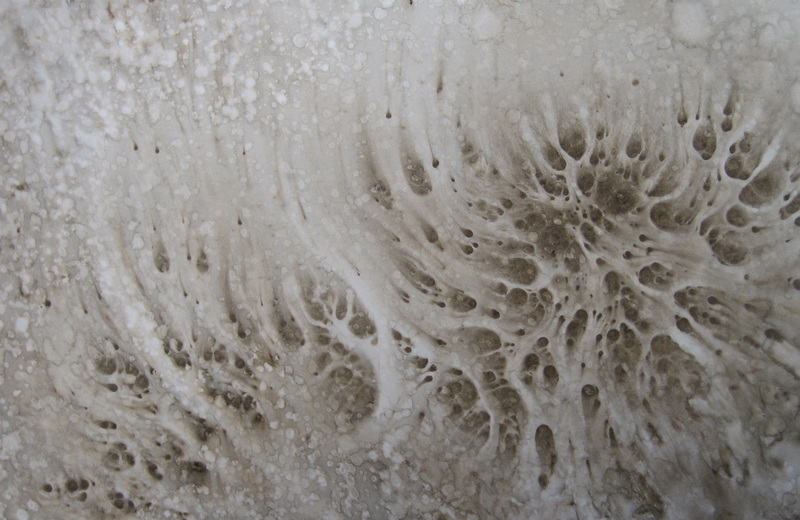 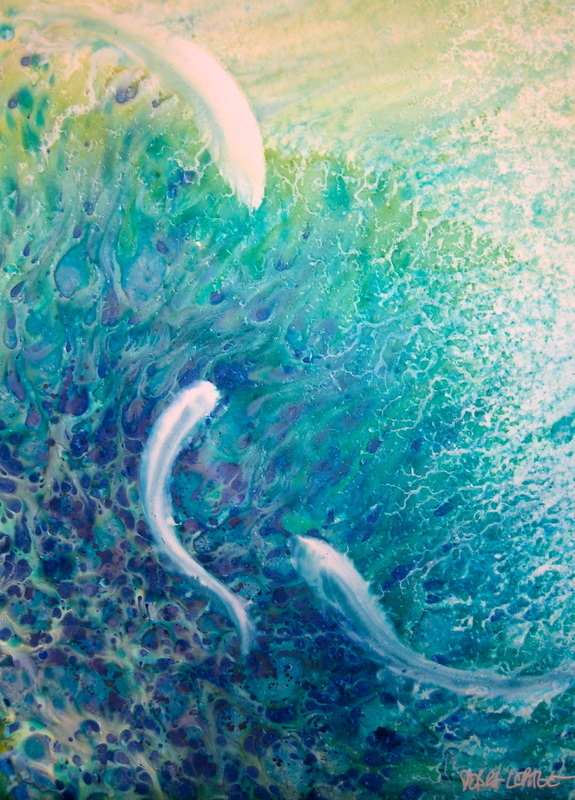 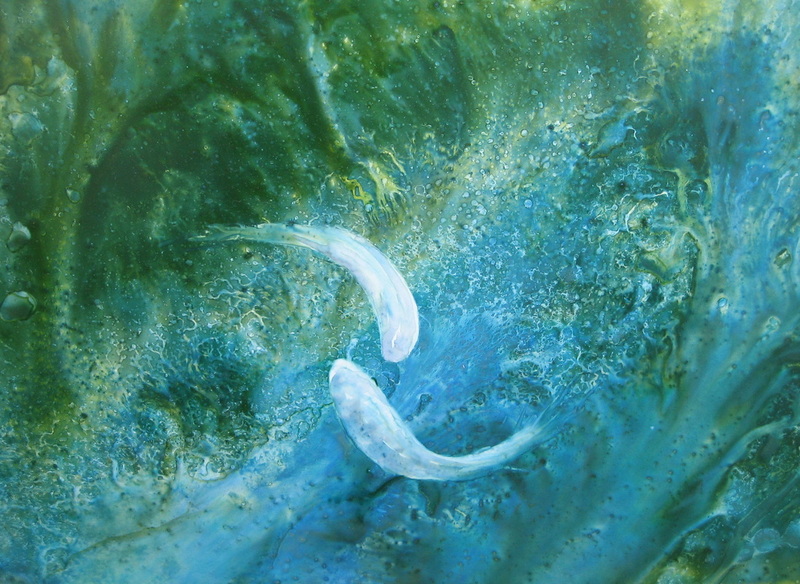 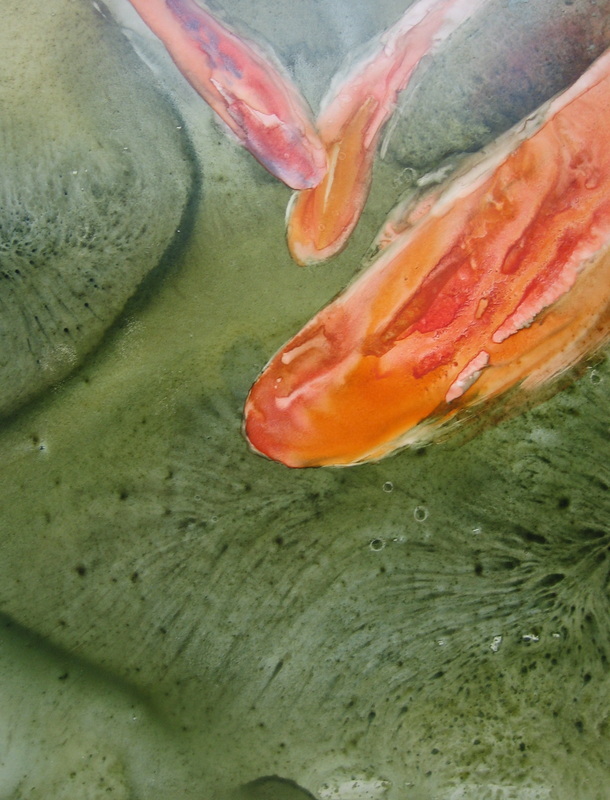 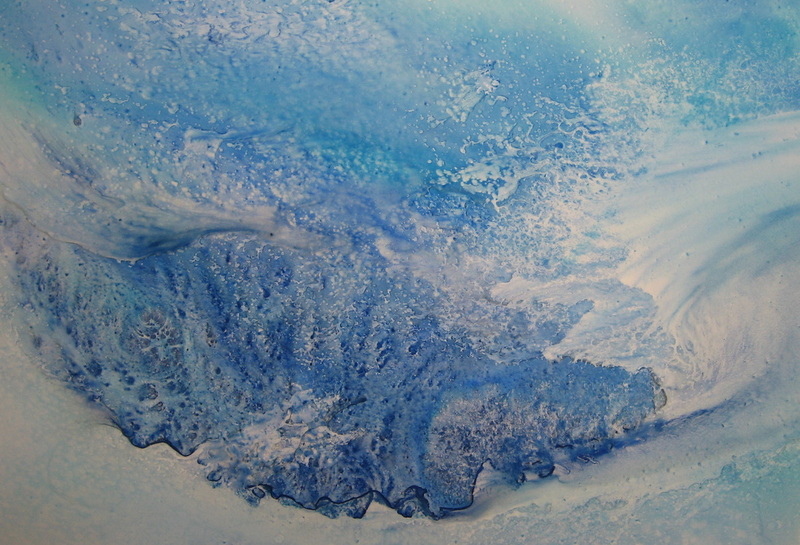 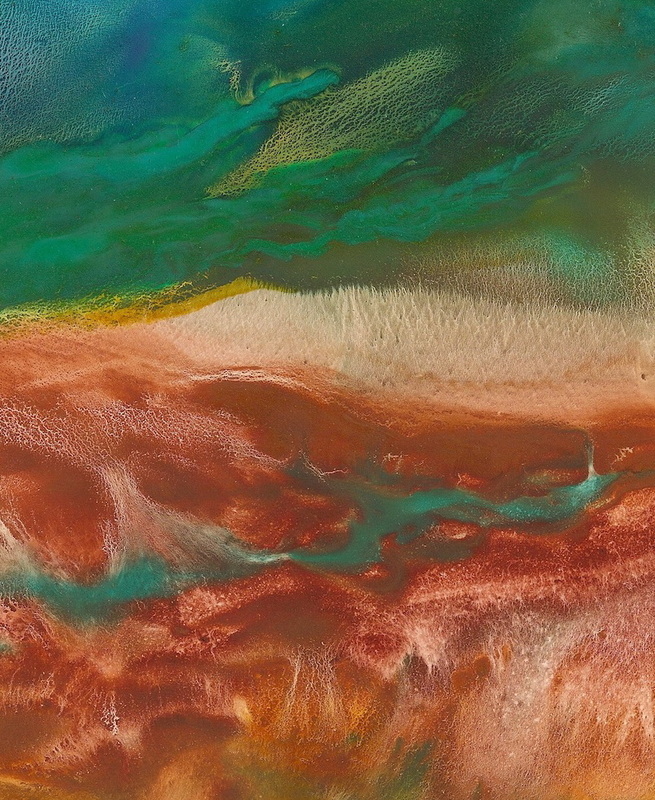 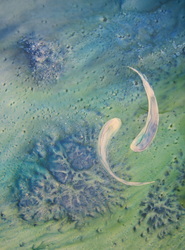 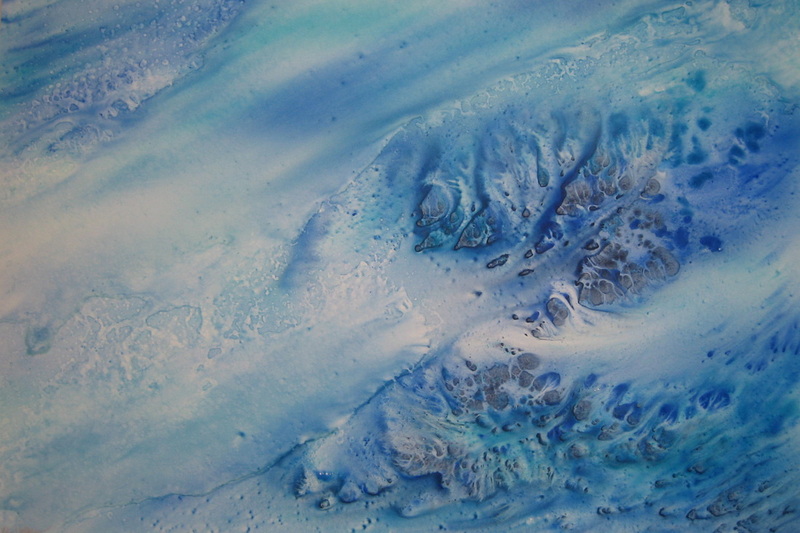 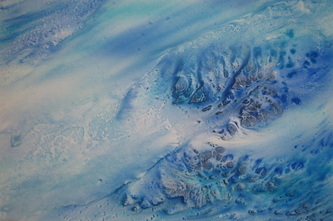 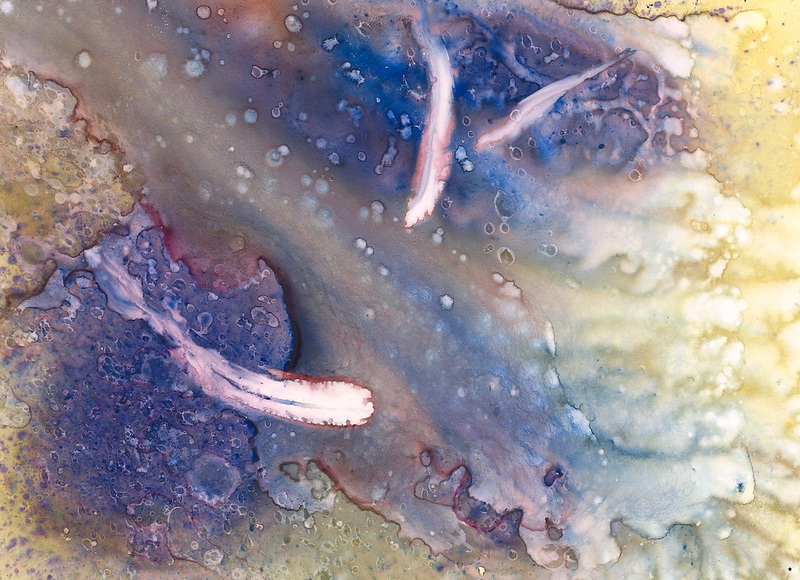 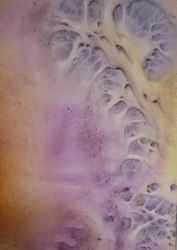 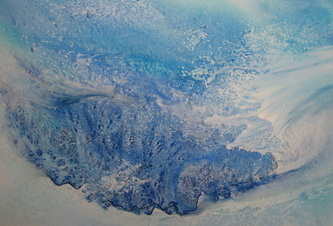 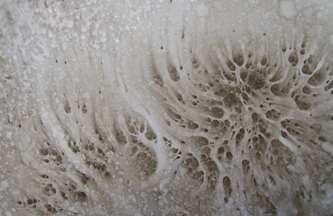 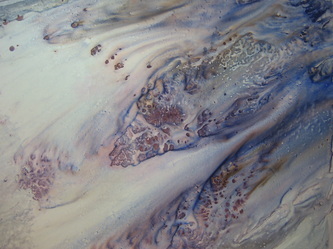 The “Ebb and Flow” Series involves exploration of the flow of water to form organic images, shapes and textures. As in the natural world, water is the key element. 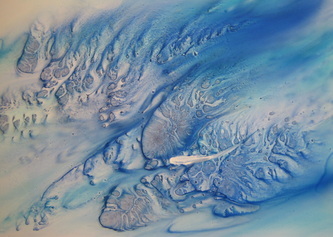 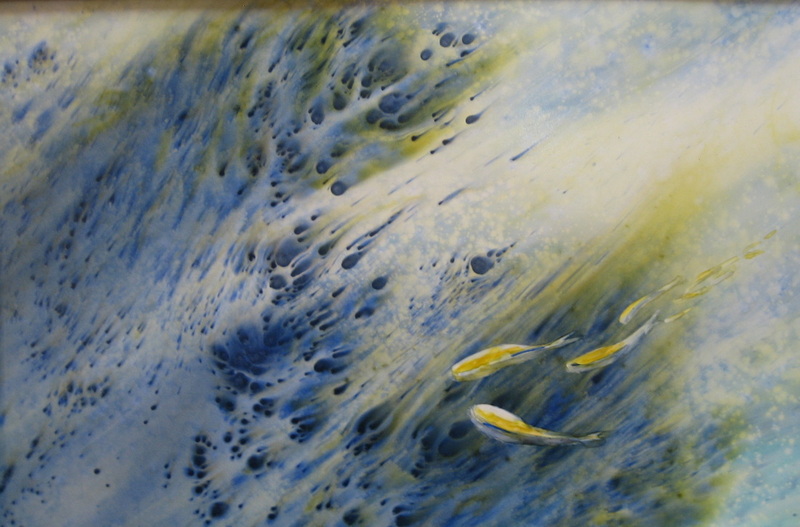 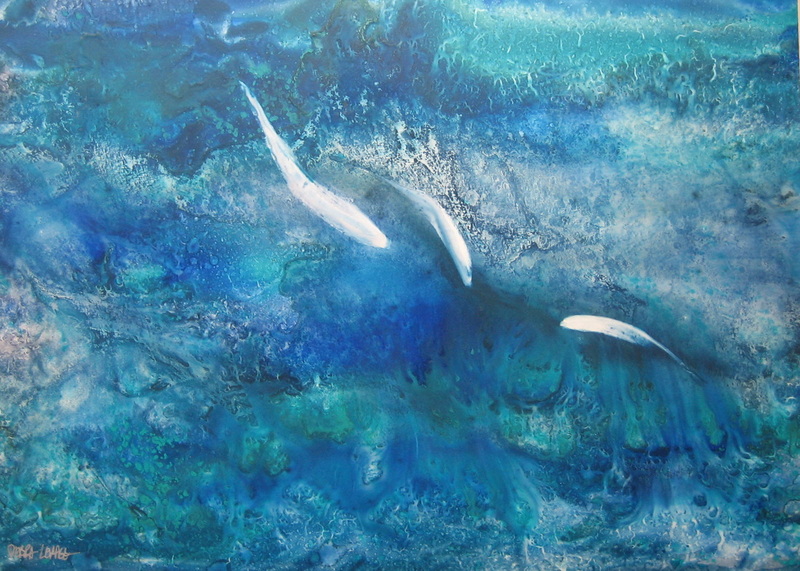 Each painting evolves in a unique way-depending on the amount of water and paint used and also the use of gravity to push the flow throughout. 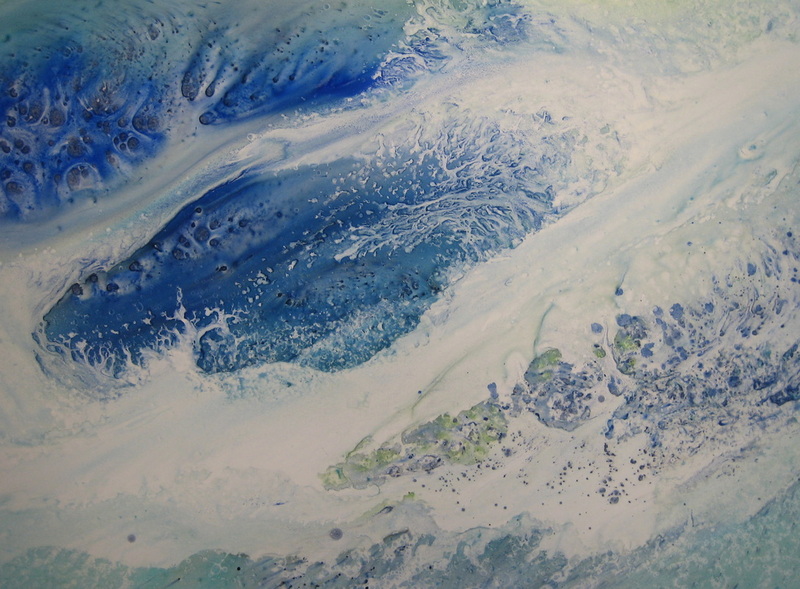 The ebb and flow of the tides, patterns shared in nature and the human body are a reminder of our connectedness over space and time.